The mother of a deceased 5-year-old has been charged with murder because her ex-boyfriend allegedly shook the boy as an infant. Las Vegas woman Monique Bork, 26, brought her 6-week-old son, Brayden, to the hospital with serious head trauma in August 2006, according to 8 News Now. His brain was swollen and bleeding, and his symptoms were consistent with shaken baby syndrome. Brayden was on life support for 6 days. His injuries left him legally blind and suffering from cerebral palsy. Police questioned both Bork and her boyfriend at the time, Edward Thompson. Bork told police that a falling toy had hit Brayden in the head a few weeks earlier, the Las Vegas Sun reports. Thompson, who is now 34, said that Bork was lying, and that really he had dropped a telephone on Brayden's face. No arrests were made. After the incident, Brayden's maternal grandmother took custody of the boy for more than two years, before he was adopted by Tish Buckmaster and Gayle Grusman, Fox 5 News reports. The boy spent most of that time in hospice care. He was fed through a gastronomical tube, according to the Daily Mail. When Brayden passed away in July 2011, at age 5, his deaths as ruled as a homicide, the result of the head trauma he sustained as a baby. "He had no brain left from the injury," Grusman told 8 News Now. Police had no evidence who was responsible, as there were four adults -- Bork, Thompson, and Thompson's mother and brother -- living in the home at the time of the incident. "The DA won't re-open the case because there's no new evidence as to which adult it was in the household," Grusman said. However, after seeing an April news report stating that no one had been charged, Cortney Campbell, who had been Bork's friend, came forward to speak with investigators. 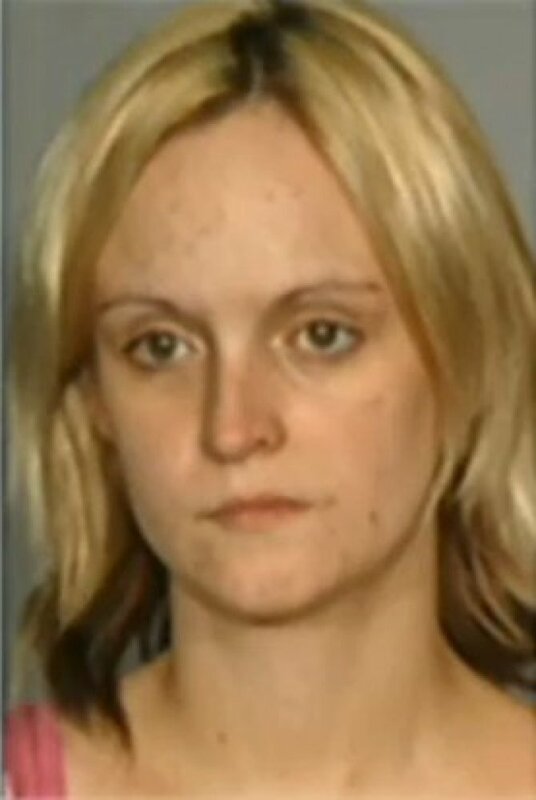 She said Bork admitted that her boyfriend shook the baby, the Las Vegas Review Journal reports. Thompson also allegedly beat Bork on several occasions. Cambell said she did not come forward earlier because she thought that Thompson had already been charged. The man has an extensive criminal background, with previous charges including robbery, burglary, conspiracy to commit larceny, and possessing a firearm as an ex-felon. Both Bork and Thompson were arrested earlier this week and charged with child abuse and murder. Thompson has also been charged with neglect. Video at link I can't embed. Edward Thompson, 32, is charged with murder, child abuse, and neglect in the death of his ex-girlfriend's son, Brayden. Police believe that Thompson shook Brayden when he was a baby, causing him injuries that ultimately led to his death at age 5. Monique Bork, 27, has been charged with child abuse and murder in the death of her 5-year-old son, Brayden, who police believe Bork's ex-boyfriend violently shook as an infant. There' more pics at the link. Murder charges have been filed in the 2011 death of a boy who, authorities say, was shaken violently as a 2-month-old and ultimately died from injuries sustained at that time. A criminal complaint filed in Las Vegas Justice Court charges Monique Bork, 26, and Edward M. Thompson Jr., 32, with murder and child abuse and neglect with substantial bodily harm in the death of Brayden Grusman-Buckmaster. Bork is the child’s mother, and Thompson was Bork’s boyfriend when the baby-shaking occurred, police said. In August 2006, Bork and a friend took the young baby to Sunrise Trauma Center, where doctors diagnosed him with injuries consistent with Shaken Baby Syndrome. The boy was in critical condition, and doctors told Bork the baby possibly would not survive the evening. Bork told Metro Police in a voluntary statement at the time that her son was not acting himself but had not had any other accidents besides being hit in the head weeks previously by a falling toy. In the intervening days, police also talked with Thompson, who said Bork was not telling the truth about the toy falling on the baby. Instead, Thompson said, he had dropped a telephone on the boy’s face. Six days after the baby was taken to the hospital, Brayden was taken off of life-support equipment and placed in hospice care. Meanwhile, Brayden spent 2½ years living with his maternal grandmother, then placed in foster care and ultimately was adopted. He survived for five years, police said, during which time he suffered from numerous medical problems, including blindness and cerebral palsy. He was nourished through a gastronomy tube until his death on July 10, 2011. A televised news account about the boy’s life and death ran earlier this year. Days later, a witness stepped forward and told Metro she was with Bork when Brayden was first hospitalized. The witness told police she had seen the TV report and had thought Thompson already had been charged in the boy’s death. Thompson was arrested Monday; Bork was arrested Tuesday. Both are being held in the Clark County Detention Center without bail. Re: Brayden Grusman-Buckmaster Death: Monique Bork and Edward Thompson Found Guilty!! Thank God she finally came forward! Brayden Grusman-Buckmaster Brayden Angel Grusman-Buckmaster, 5, of Las Vegas, passed away July 10, 2011. A lifelong resident of Las Vegas, he was born June 23, 2006. Brayden is survived by his mothers, Gayle Lynn Grusman and Luticia Lynn Buckmaster; several siblings; grandmother, Ursula Bork; great-aunt, Silvia Briest; aunt, Debbie Grusman; cousins, Jake Grusman, Draven Buckmaster, Darrin Hoatson, Chace Buckmaster, Ceci Hoatson and Joseph Grusman; brother, Chris Buckmaster; great-grandmothers, Helene Adler and Ann Grusman; great-aunt, Dorain Grusman; aunt and uncle, Chris and Sherman Bayless; uncle, David Grusman; and aunt, Brenda Grusman. Visitation will be 4-7 p.m. Friday, July 15. Services will be at 10 a.m. Saturday, July 16, both at Palm Mortuary, 7600 S. Eastern Ave. Interment to follow at Palm Valley View Cemetery. In lieu of flowers, please consider contributions in Brayden's name to, Child Haven, Westcare or any child abuse charity. Brayden Grusman-Buckmaster, 5, died in July 2011 due to injuries sustained from head trauma as an infant. The boy spent most of that time in hospice care. He was fed through a gastronomy tube, according to the Daily Mail. CORRECTION: An earlier version of this article incorrectly referred to a gastronomy tube as a "gastronomical tube." In addition, the headline incorrectly referred to Monique Bork as Michelle Bork. Must see video at above link. This breaks my heart! Mom who hid deadly baby-shaking gets 8 to 20 years in prison. A mother who tried to cover up that her boyfriend shook her 2-month-old son, which led to the boy’s death five years later, was sentenced to 8 to 20 years in prison Wednesday. Monique Bork, 28, was given the maximum sentence by District Judge Stefany Miley after she pleaded guilty to child abuse and neglect with substantial bodily harm in September 2012. 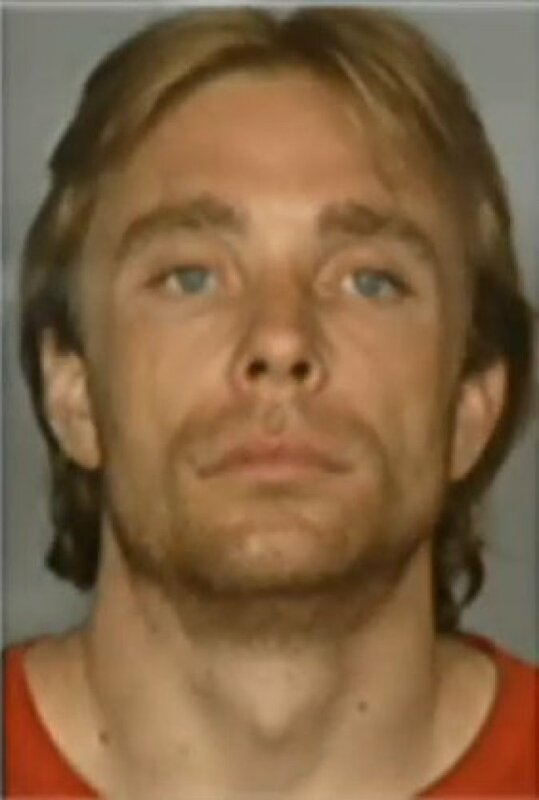 Bork originally faced a murder charge for the death of Brayden Grusman-Buckmaster, but in exchange for her testimony against Edward Thompson, prosecutors dropped the murder count. A jury earlier this week convicted Thompson, 34, of first-degree murder. He faces a sentence of 20-years to life in prison. A sentencing date was set for April 9 before Miley. The case was complicated by the fact that Brayden lived until he was 5 years old following his injuries. Prosecutors said Thompson violently shook Brayden, inflicting traumatic brain injuries that eventually killed him. But they needed Bork’s help to convict Thompson and cut a deal with her. Bork helped cover up what Thompson, her boyfriend at the time of the abuse, had done. Two weeks after Brayden was hospitalized in August 2006, the couple married so Bork couldn’t be forced to testify against Thompson. As a result of his injuries, Brayden was legally blind for the rest of his life. He lived with his maternal grandmother for about two years and then with a foster family until he was adopted. Brayden died July 11, 2011, but Thompson and Bork weren’t arrested until a year later. On Wednesday, Bork cried as she apologized and explained that she too was abused by Thompson. She asked the judge for probation so she could care for her and Thompson’s three children, one of which was born in jail as she awaited trial. Deputy special public defender Randy Pike said his client accepted responsibility for what she did and tried to make things right by helping put the killer behind bars. Edward Thompson sentenced 20 years to life in shaken baby case. A 34-year-old man accused of violently shaking a 2-month-old baby in 2006, causing injuries that led to the boy’s death five years later, has been sentenced to 20 years to life in prison. Edward Thompson was convicted by a jury in February of first-degree murder for the death of Brayden Grusman-Buckmaster. He was sentenced in Clark County on Wednesday. The case was complicated by the fact that Brayden lived after his injuries until he was 5. Clark County prosecutors said Thompson violently shook Brayden, inflicting traumatic brain injuries that eventually killed him. But they needed the help of the boy’s mother, Monique Bork, to convict Thompson and cut a deal with her. Bork testified against Thompson at his trial. As part of her deal with prosecutors, she pleaded guilty to child abuse and neglect with substantial bodily harm in September 2012. Bork was sentenced to 8 to 20 years in prison following Thompson’s conviction. I think they should both get life.... What a bunch of BS!!! I agree with you misshesitation ! Maximum sentence upheld in death of Las Vegas child. Monique Bork had her conviction and sentence upheld by the Nevada Supreme Court on Friday, Jan 23, 2015. Bork pleaded guilty to child abuse and neglect in September 2012 for the death of her 2-month-old son, Brayden Grusman-Buckmaster, right. CARSON CITY — A Las Vegas woman who tried to cover up that her boyfriend shook her 2-month-old son, which led to the boy’s death five years later, has had her conviction and sentence upheld by the Nevada Supreme Court. A divided three-member panel of the court upheld the 8- to-20 year sentence given to Monique Bork despite her claims on appeal that the term was excessive and disproportionate. Bork was given the maximum sentence by Clark County District Judge Stefany Miley after she pleaded guilty to child abuse and neglect with substantial bodily harm in September 2012. Bork also contended on appeal that Miley used her case for campaign purposes when she posted a link on her Facebook page to an article about the sentencing. Bork also said Miley erred at her sentencing by allowing a non-victim to speak in the first-person voice of the deceased child. The panel majority agreed that allowing the statement was in error, but concluded it did not demonstrate prejudice affecting her substantial rights. The witness did not specifically address Bork or the crime, the panel said. Justice Michael Cherry dissented, saying the state Division of Parole and Probation recommended a prison term of four years and five months to 20 years. “In my opinion, this significant upward departure from the minimum recommended prison term indicates that the district court was unduly influenced by the unnoticed witness who spoke in the voice of the victim at the sentencing hearing, and demonstrates prejudice affecting Bork’s substantial rights,” he said.